Since 1990, nuclear power has provided approximately 20 percent of our nation’s electricity. Nuclear energy is an essential component in maintaining the reliability of the electricity grid and achieving greenhouse gas emission reduction goals. 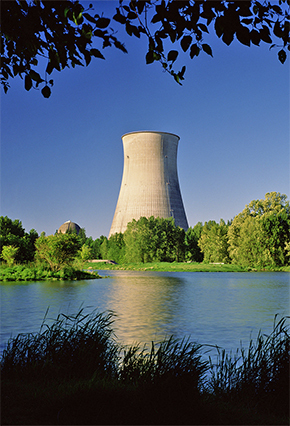 However, challenges to nuclear power such as current low prices for natural gas; lengthy litigation affecting new plant applications and license renewals; and the failure to make progress on a disposal plan for spent fuel have created an intense level of uncertainty about the future of nuclear power in the United States. Navigating these challenges and responding to new opportunities, such as the implementation of modular and scalable generating technologies (including SMRs), requires stakeholders to understand the shifting legal, regulatory, and political landscape affecting nuclear policy. Van Ness Feldman’s team of nuclear energy attorneys provides clients with valuable insights and strategic counsel on these complex and evolving nuclear policy matters. As outside counsel to the Blue Ribbon Commission on America’s Nuclear Future from 2010 – 2012, and counsel to the Bipartisan Policy Center's Nuclear Waste Initiative from 2014-2016, Van Ness Feldman has unique and recent nuclear policy experience that can be a benefit to interested parties. In addition, Van Ness Feldman’s attorneys have significant knowledge and experience in a range of regulatory issues, including federal, state, and local environmental permits; NRC decommissioning criteria; financial qualifications; foreign ownership restrictions; insurance and indemnity issues; and rail transportation issues. Van Ness Feldman has a long history of involvement in nearly all aspects of energy and environmental regulation and policy, and is known for its attorneys’ ability to collaborate effectively with our clients’ internal and external technical advisors to provide superior, cost-effective service.